Showtime won big at the Golden Globes, taking home three awards, including best drama series for “Homeland.” Nevins spoke with Fast Company about the rapidly changing world of cable TV and how he stays on top in a world where audience tastes evolve at an ever-accelerating pace. In the early ’90s, most networks turned down the idea for the television show that would become ER. Not David Nevins. Nevins championed the show, and was instrumental in making the series–which turned George Clooney into a star–one of the biggest hits in TV history. Later, Nevins angled to get 24 on the air. And in his roles as an executive at NBC, FOX, and as president of Imagine Television, he helped bring a slew of commercial and critical hit shows to TV, including Will & Grace, Arrested Development, and The West Wing. 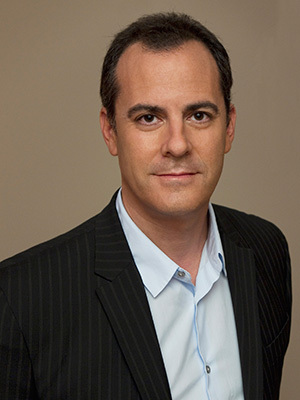 Since taking over as president of entertainment for Showtime Networks about a year and a half ago, Nevins has been strategically nurturing Showtime’s current hits and finding future gems. He has focused as well on deepening the audience engagement around all the network’s shows. Showtime’s roster now includes Homeland, which premiered last fall, House of Lies, which premiered earlier this month, and returning shows like Shameless and Episodes, which will resume later this year. 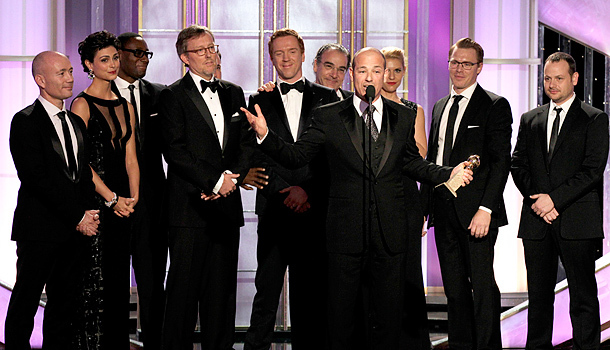 Showtime scored big at the recent Golden Globes, taking home three awards, including Best Drama Series for Homeland. Nevins spoke with Fast Company about the rapidly changing world of cable television and how he stays on top of the game as an innovator in the entertainment world where audience tastes evolve at an ever-accelerating pace. Fast Company: As someone who has been on different sides of the television business for more than a decade, what’s your assessment of the television landscape right now? David Nevins: I think it’s an incredibly creative time in television in general and particularly at the higher end of cable. We’re at a moment where independent film is really struggling and there aren’t a lot of movies getting made. Movies that do get made need to be $100 million “tent pole” movies. As a result, a lot of films simply can’t get made. So you’ve got the crème de la crème of great actors and great writers who are now interested in doing television. With the exception probably of the top 10 male and female box office stars, pretty much everybody else is fair game for television. Everything that we’ve ever done–and that I’ve ever done as a producer–has been script driven; these projects have never been developed for a specific actor. The idea is to get the best writer and develop a great script. Actors tend to be very smart readers. That’s what gets people like Don Cheadle, Claire Daines, and Laura Linney to say yes to television. So it’s a very exciting time creatively and it’s where adults go for programming. Most adults get their most nourishing cultural enrichment from cable television. Aside from having a great script, what is your sell to the directors and actors as to why they should come to Showtime? The generic sell is that it’s only 12 episodes a year, which is a four-month window–or one movie slot–if you are a movie actor or director. We also don’t tend to cancel shows, so you know where you’ll be for the next several years for that four-month window, which can be very desirable for a lot of actors. For Showtime, we try very hard to be the place of the most adventurous storytelling. We tend to push limits and be the place that is pushing the medium of television forward. I think people tend to be attracted to a place where they feel like they are able to do creatively adventurous work. The medium and format allows you to take more of a risk. How do calculate your risk when you are thinking about a new show? When it comes to storytelling, not taking risks is riskier than swinging for the fences. I have very simple ambitions when it comes to taking risks in storytelling and programming. I try very hard to avoid the expected. So much of television is incredibly predictable. You watch the first five minutes and you know where it’s going to go. If you can just create an element of surprise in both the storytelling and tone of a show, you’re going to be way ahead of the pack. I don’t tend to think of it in terms of risk-taking. I ask more basic questions: Is there an element of surprise to this? Is this going to be entertaining? Is there any surprising reveal of humanity here? Those basic elements have driven writing for thousands of years. Storytelling is always moving forward, but the basic elements of what an audience is looking for haven’t really changed. A year ago when you left Imagine TV to come to Showtime, some people were surprised since the network was in such good shape. What attracted you to Showtime? I love being a producer and I think I essentially still operate as a producer even though I now have control of marketing and the ability to greenlight shows–something every producer wants but that they don’t get! I feel like I’m essentially doing the same job as when I operated primarily in the broadcast network ecosystem as a producer. I was always pushing up against the limits of the medium. 24 finally broke through and became a big hit, Arrested Development and Friday Night Lights both had great critical admirers but never quite broke through to mainstream hit status. I think I’m now in a place where those kinds of shows can really thrive. The 4.5-5 million people a week who watched Homeland on cable makes that a really big hit. The 4.5-5 million people who watched Friday Night Lights on a broadcast network prevented that from being a hit. I love being here where you get rewarded for the shows that challenge the status quo of the medium. Generally in television there’s only a leadership transition when things go wrong, but in this case, Showtime was in a good place and I think in the last year we’ve gone to an even higher level. Winning best series at the Golden Globes this month was sort of a breakthrough moment for this network. It’s really a new plateau. Last year HBO won that category with Boardwalk Empire. HBO has long been viewed as the leader in pay cable. What do you have to do to take them on? I really do think that we can both exist very well. The dirty little secret is that our businesses are actually quite tied together. Because of the way that cable gets sold, people just sign up for the premium package which often bundles HBO and Showtime together. The way we distinguish ourselves is largely a matter of original series. I try very hard to do shows that feel like they are about the world that we live in, that have real relevance. I think one of the reasons why Homeland and House of Lies have drawn big audiences is because they’ve resonated in the culture. House of Lies is about business and the people who run it and everything messed up therein. Homeland is about where we are 10 years after 9/11. They’re both very much about where this country is today. Homeland obviously shares a number of elements with another show you worked on: 24. I’m curious from your perspective what the differences are in the ways people respond to 24 and Homeland. Obviously the DNA strands between Homeland and 24 are strong. The two shows share three of the same writers, and me. But in Homeland we were interested in telling a more psychologically complex story. There is less of a clear-cut hero than in 24. The effort in Homeland was to try and humanize all sides of the story, which was probably less of priority with 24. There, the primary driver really was adrenalin. Both shows really speak across the political spectrum. People from the left and people from the right are both able to take things from the shows that support their political views. I find that fascinating. When you do shows with multiple characters with well developed points of view, you can speak outside the political ghetto of right and left. A famous Hollywood producer once said, “If you want to send a message, call Western Union.” You talk about wanting to make shows that are relevant to our world. How do you strike a balance between dealing with issues that are relevant to our world and making entertaining programming? You have to make it all rooted in very human characters with understandable human traits but who aren’t too simple. I also like to be a bit of a provocateur. With Showtime being a premium network, I think it pays to be a little bit provocative. I try to be polite about it, but I like to tweak people’s assumptions about a character, a situation, or a concept. How are the changes in platforms and the way people consume TV changing the way you tell stories? I think every year the audience gets more sophisticated and more demanding in terms of the amount of information and narrative that they can process. I like things that are full and stuffed and go in a lot of directions at once. I like stories with a collision of disparate tones. Look at Shameless or House of Lies. They go from big, silly, and comedic to very real dramatic moments in the wink of an eye. I think audiences more than ever are willing to go there. I think you just have to remain interesting and try really hard not to be boring. We also have some of the deepest engagement shows anywhere in the media business, Dexter, for one example, Homeland, for another. The fans of these shows have an incredible hunger for new content. Some of the comedy content that has been done to support House of Lies has been outrageously funny. Ben Schwartz comes out of the Funny or Die world, Kristen Bell has done some amazing comedy pieces as well, and we have a pretty distinguished House of Lies app. We have a whole division that’s making games around Dexter. You have to constantly feed the beast and give people fresh new high-quality material. That’s a challenge when your primary business is making A-level expensive programming for television. You have to support the TV experience with engagement experiences that can continue between and after episodes. We are dipping into that. I think we’re well positioned to do it because we have such a strong brand that people associate with the cutting edge of programming. I think we are also looking at some point at doing some original stuff that is not tied to our A-level network programming, I think that’s absolutely a possibility. But for the foreseeable future, that’s not going to be a driver of our business. Earlier this month you talked about how the next two seasons of Dexter will probably be the last. How do you replace a big show like Dexter that has been so central to your lineup? After Dexter–which is still very high-rated–the next highest rated shows are all shows we’ve added in the last year: Shameless, Homeland, and House of Lies. That’s a rare thing among networks. Most networks tend to hang on too long and don’t use current hits to seed future hits. We very deliberately used Dexter to seed Homeland. Our shows tend to take two or three years to reach critical mass. Shameless attracted a lot of viewers after its initial run went off the air, that’s what led to a 50% rise in audience for this year’s premiere over last year. And I just have to ask…what can we expect from Episodes when it returns later this year? Episodes is going to be a big promotional priority this season. Last season we had a very short order, this season we have nine episodes. I think it took a while for the show to get its characters established last year. This year, the show is established. It’s now a full-fledged ensemble with six characters. This can be the funniest show on television and I hope by this time next year that’s what people are going to be saying about it. I went to London for the table read of all the episodes. We did them all in one day. It was probably the funniest day of table reads I’ve ever been in, and I’ve been involved in some pretty funny shows. Merc’s blind wife plays a prominent role and becomes involved with Matt LeBlanc’s character in really funny, surprising ways. We start seeing what’s going on with the mirthless comedy executive. It becomes an ensemble that is firing on all cylinders. I think we’re going to make a lot of noise with it.